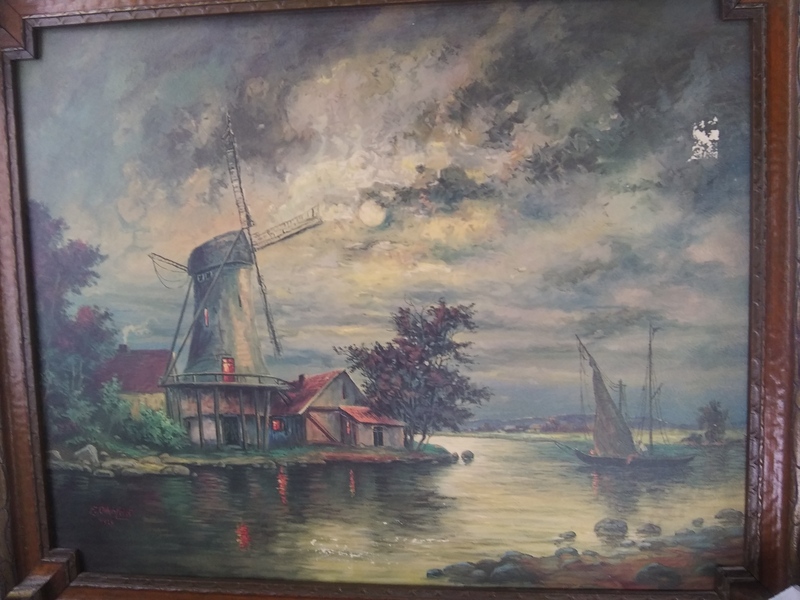 I found this old painting at a thrift store. There is some wear to it, because someone put stickers on it and when I took am off the paint came off with it. I really like it I just don't know the history behind this painting and the value. It is signed too. 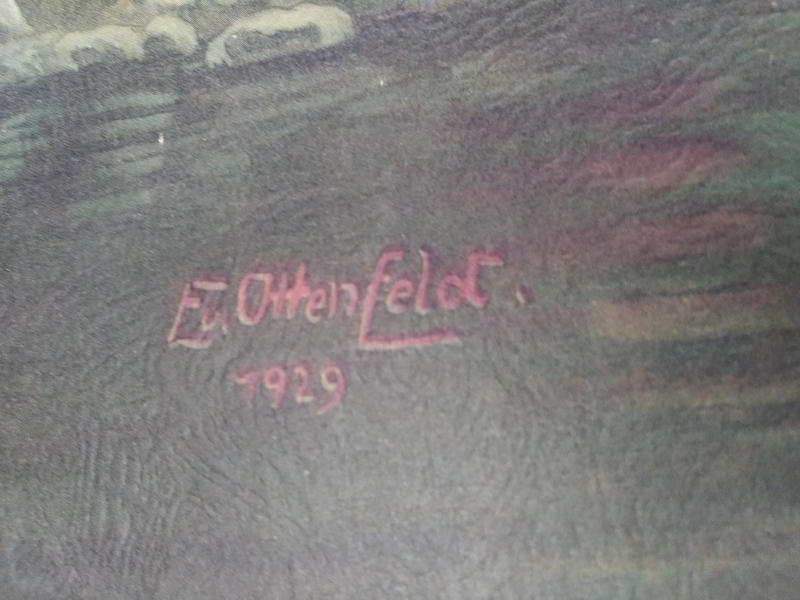 The artist does have a name I just can't make it out and the year is on it too.